In this guide, we'll show how to integrate external diff and merge tools with TFS by using Code Compare as an example. To integrate Code Compare into Team Foundation Server, open the Visual Studio options (Tools → Options). In the displayed dialog box, select the Source Control → Visual Studio Team Foundation Server node. 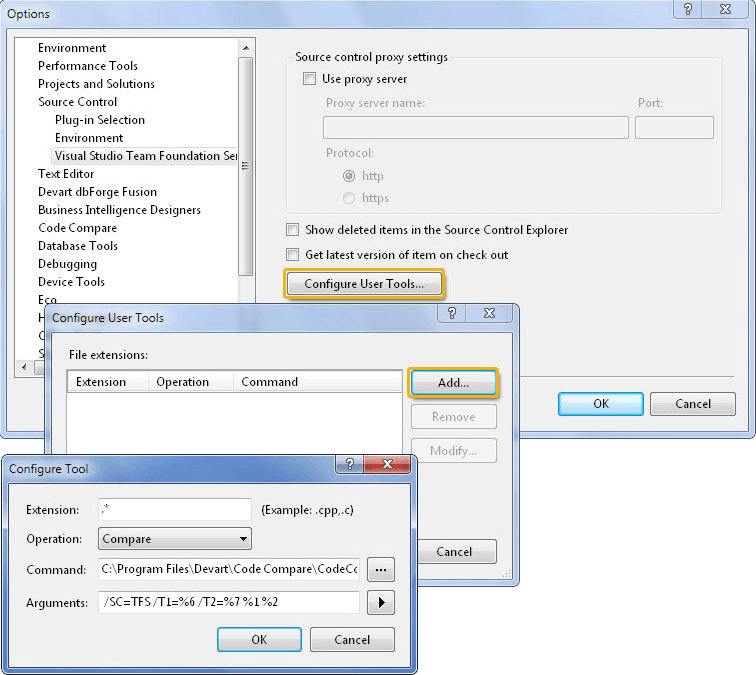 Click the Configure User Tools button to set up diff and merge tools. Click the Add button to add an external tool for comparison or merging. (You can use the Browse button to find the required executable file).